Video Captures Image of Robbery Suspect, Can You Identify Him? WINNIPEG - Manitoba RCMP are hoping someone will recognize the person in the photo below who is a robbery suspect. Mounties said the suspect was captured on video surveillance using a small crowbar to break and enter into the Roblin Farm Service building located on 2nd Avenue NW, in Roblin on April 6 at 5:00AM. 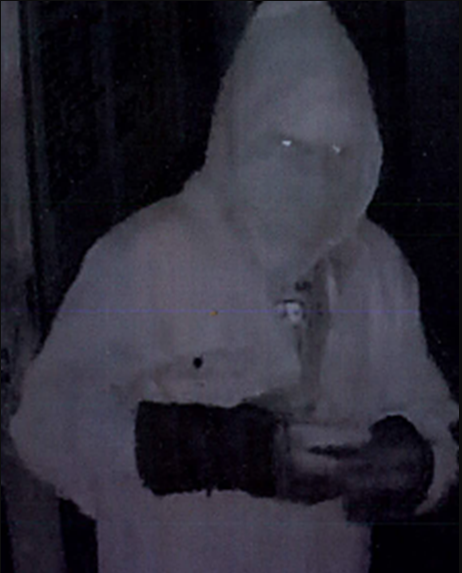 The surveillance video shows the suspect to be thin and tall in appearance, wearing glasses, dark coveralls, a dark green hoodie, and snowmobile gloves, as well as a mask to cover his face. Anyone with information about this incident is asked to call the Roblin RCMP Detachment at (204) 937-8054.